New England is home to many different species of sharks: great white, basking, blue and thresher sharks to name a few. It is also home to many shark researchers who travel all over the world to help the conservation of these fascinating yet vulnerable animals. The speakers will provide an overview of the amazing work they conduct, while providing information on shark biology and their career paths. This lecture is not to be missed by any shark enthusiast! Tobey Curtis is a shark scientist with NOAA's Greater Atlantic Regional Fisheries Office. Research Interests: stress physiology of elasmobranch fishes (sharks, rays and skates), applied fisheries biology, and physiological ecology of fishes. More specifically: 1) the physiological alterations caused by stress in elasmobranchs and other finfish; 2) the mortality of discarded bycatch in fishing operations; 3) strategies to reduce the incidental capture of elasmobranchs; and 4) movement and distribution of marine finfish around artificial structures (i.e. fish aggregation devices). Current Projects include: The immediate and delayed mortality of western North Atlantic skates due to fishing capture (funded by NOAA Fisheries Northeast Region); impacts studies on the exclusion zones associated with deepwater liquid natural gas (LNG) terminals in Massachusetts Bay (Funded by Excelerate Energy, L.L.C. & Suez Energy North America, Inc.). Lisa Natanston is a Fisheries Biologist with the Northeast Fisheries Science Center, part of NOAA. John Chisholm conducts fisheries research for the Massachusetts Shark Research Program, collects fisheries statistics for the Massachusetts Sportfishing Tournament Monitoring Program, and assists with the outreach duties of the Recreational Fisheries Project. Diego Bernal's research interests focus on fish biology, more specifically, the comparative physiology of fishes. He is particularly interested in the comparison of the morphological, physiological, and biochemical specializations of high-performance fishes (i.e., tunas, billfishes, and lamnid sharks). He is interested in understanding the progression of character-state acquisition leading to the suite of specializations present in these derived high-performance marine fishes and addressing questions on the biological mechanisms that distinguish high-performance fishes from all other fishes. He is also interested in how fishes respond to angling-induced stress. Specifically, the disruption to homeostasis in fishes (i.e., tunas, billfishes and lamnid sharks) that undergo intensive bouts of burst swimming. Of particular interest is the application of new molecular techniques to determine the presence of chaperone protein expression in the red blood cells, locomotor and myocardial tissues. In summary, he is interested in questions that involve the physiological specializations present in the most active species of fishes, and what the energetic costs and advantages may be for maintaining the adaptations supporting high-performance swimming and for dealing with angling-induced stress. Heather D. Marshall is a Ph.D student in the program in Biomedical Engineering and Biotechnology at the University of Massachusetts, Dartmouth. Dr. Gregory Skomal is an accomplished marine biologist, underwater explorer, photographer, aquarist, and author. He has been a fisheries biologist with the Massachusetts Division of Marine Fisheries since 1987 and currently heads up the Massachusetts Shark Research Program. Greg holds a master's degree in marine biology from the University of Rhode Island and a PhD from the Boston University Marine Program in Woods Hole, Massachusetts. His research has spanned multiple fish habitats around the globe, taking him from the frigid waters of the Arctic Circle to coral reefs in the tropical Central Pacific. He has written numerous scientific research papers and has appeared in a number of film and television documentaries, including programs for the National Geographic Channel, Discovery Channel, ESPN, and CBS. 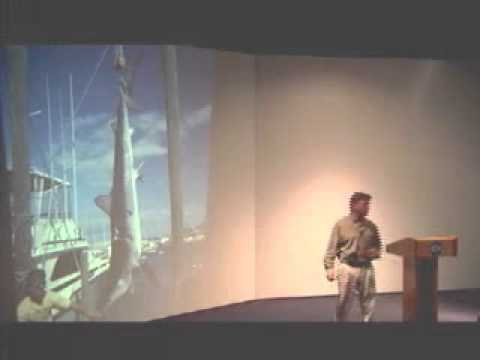 Although his research passion for the last 23 years has been sharks, he has been an avid aquarist for more than 30 years and has written nine books on aquarium keeping. His home and laboratory are on the island of Martha's Vineyard off the coast of Massachusetts. 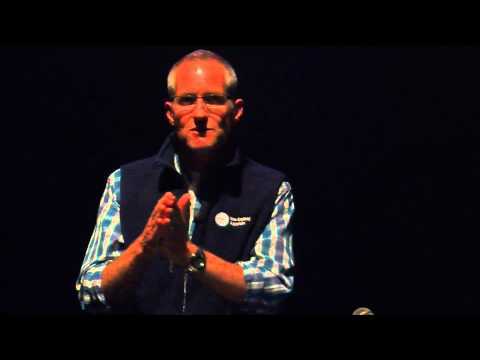 Jeff Kneebone is an Associate Scientist studying shark life at the New England Aquarium. Expertise: Life history and population dynamics of sharks, skates, and rays; composition and spatial/temporal distribution of fish communities; physiological responses to stress and how this influences by-catch mortality; environmental adaptations in fish; conservation of fish communities; and trophic interactions between fish species. Cynthia holds a BS in Wildlife Management from University of New Hampshire and MBA from Southern New Hampshire University. Cynthia has spent twelve years working for online trading companies in the energy industry, with a focus on project management, strategic planning, and sales. Cynthia is an avid traveler and a scuba diver with a deep appreciation for wildlife on land and sea. Her underwater experiences with whale sharks, great hammerheads, nurse sharks, and great white sharks, led her to leave the corporate world and establish a nonprofit to support shark research and education. Sharks in Danger: Silver Fins and a Silver Lining?